Pilots vs. Zags! At University of Portland, January 19, 2019. 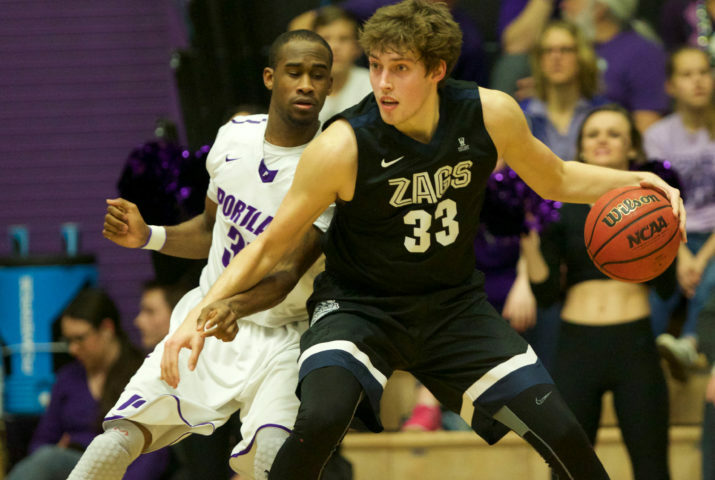 JVC Northwest is thrilled to send you this invitation only offer to purchase basketball tickets to the University of Portland versus Gonzaga men’s game on January 19, 2019. Tickets are limited and available on a first come, first serve basis. Seats are in section 7 & 8 and tickets are $45 each. You can pick up your tickets only at JVC Northwest’s pre-game reception at 5:30 p.m. at the Pienovi Hitting Facility the night of the game. At the reception we will provide appetizers, beer, and wine and information about our programs at JVC Northwest. Tipoff is at 7 p.m.
For more information, please contact Anne Douglas at adouglas@jvcnorthwest.org, or (503) 335-8202. We are excited about this opportunity and look forward to seeing you on January 19!